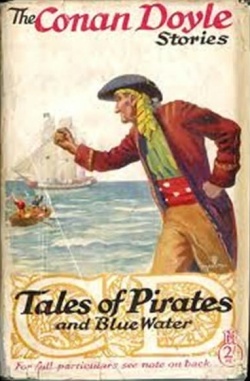 Tales of Pirates and Blue Water is a volume collecting 12 short stories written by Arthur Conan Doyle first published in 1922 by John Murray. The collection is divided in two parts: Tales of Pirates with stories of pirates, and Tales of Blue Water with stories of sea. This page was last edited on 10 June 2016, at 17:43.